Keeping a classroom interesting really tests a teacher’s creativity. How can you teach the same lesson in a different way every single year? But if you can answer this question, you will escalate to a new level in your profession, your students will love you and your classroom will thrive. The main focus of the teachers in the top CBSE schools in Sonepat is to keep their classes interesting, always, and they successfully do it by applying a host of proven techniques to impart the lessons. You can select your pick from these strategies, mix it with your creativity and give better lectures from your next class onwards. So, let the following pointers be your guide to make your classrooms even more interesting than it already is and give your students some fun during their lessons. Let’s get started. No matter what resources you may be inclined to turn to, textbooks must always form the core of your classes. It provides students with easy access to in-depth information. Hence, students must learn to read from it. You can tweak your teaching methods slightly by presenting some new facts and then asking the students to read the chapter or surprise the class by breaking the norm and starting a whole new interesting topic that is your favourite. The best school in Sonepat allows their teachers to take classes anywhere. Hence, you can move the entire classroom to the science laboratory or the playground just to get away from the standard walls and benches. You may teach the same thing but the change of environment will help your students. Mix things up this way, teach while visiting a museum and continue to look for new things to break the monotony that sets in. You can revise a subject by having a quiz contest. You can mix chemicals first-hand and show students the results. You can also ask students to prepare a script on some history lesson and enact it during the class. All of these will do the intended, that is to teach the subject, but in a very different way than the standard lecture method. Students will enjoy themselves and learn enthusiastically. Every day will be a surprise to them and they will want to join your class. All modern schools now give their teachers access to smart boards and projectors. So, use these available resources to make things interesting. You can follow up a lesson with a short informative video or play an audio file that is relevant to your subject. You may also play relaxing background music while you set your students some work just to show them that you are a fun teacher. Technology can enhance the entire experience if you use it to the right extent. 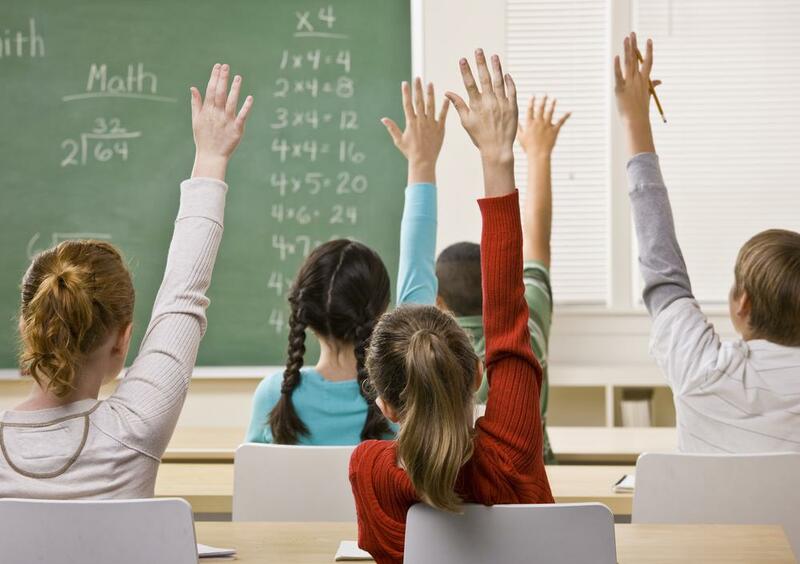 Students mainly become inattentive during lessons as they fail to grasp the need to learn the subject. However, if you ask a thought-provoking question and allow a bit of discussion time, this will create a level of curiosity among students. Then, you can present them with the necessary information and notice their reaction. A great teacher will always direct students towards the necessity of education as that foster maximum retention. Hence, you must create and solve that need as well. Using examples are definitely the best way to teach. But if you help students to relate a subject matter with a real-life experience that they might have already had, this will make the topic way more interesting. Instead of asking students to imagine something hypothetical, show them how things are working in the real world. How Newton’s laws are in use in trains or mathematics in banks. Real-world examples can teach any subject in the best possible way. And every method that you follow, will be a learning experience for you. You must always look to improve on your existing techniques, research about new ways of teaching and attend workshops to keep learning yourself. The teachers of Swarnprastha Public School, a premier institute in the list of top 5 school in Sonepat, keep their classrooms interesting always by applying such new strategies every day. Help is also available from the school management in the form of training sessions for teachers to continuously improve. Students get the best education in such schools where learning is collaborative and exciting where teachers strive to make their classrooms fun in the best possible ways.